VinaGame (VNG) is Vietnam’s leading Internet company. Vietnam is the largest market for online games in Southeast Asia and VNG is the dominant player, with ¾ of the top games, a 60 percent market share, 20 million registered accounts and 2009 revenues of more than US$ 45 million. 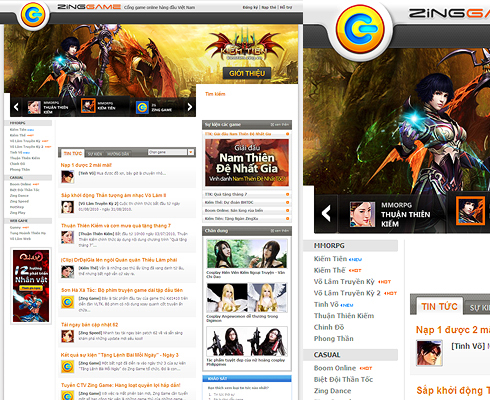 VNG also created and operates Zing, a music, news, entertainment and search portal that has become the fourth most-trafficked site in Vietnam. ZingMe, a social networking and messaging service, leads the market with four million users. Founded in September 2004, VNG launched the first online game in Vietnam, and has since grown to over 1,000 employees. Many of its employees are passionate gamers themselves. Co-founder and CEO Le Hong Minh captained Vietnam’s team in the 2002 World Cyber Games (WCG) held in Korea and set up one of the very first ADSL Internet Game rooms in Vietnam in 2003.